This temple is also known as Laxmi Narayan Mandir and is situated in Wadi, Moghul Wada Area of Vadodara. This temple’s owner is from Vadtal’s Swami Narayan Gaadi who runs the temple. The Name of the temple is given from Swami Narayan Community. 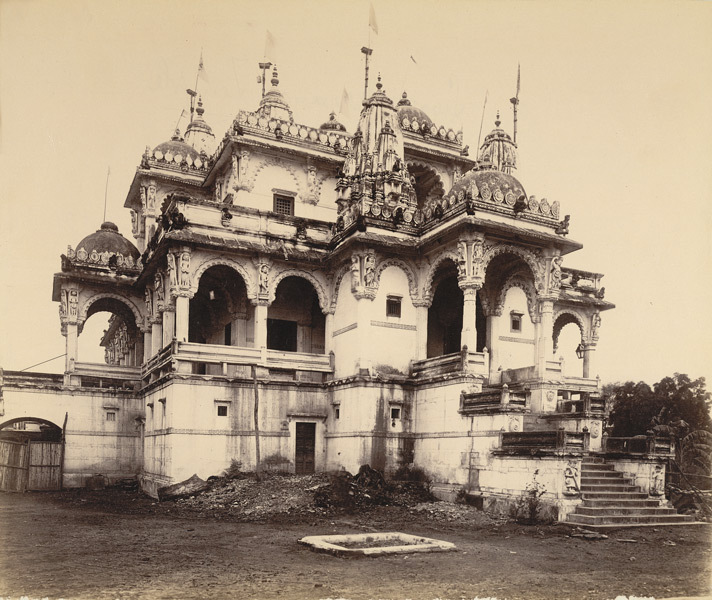 Sahajanand Swami and their devotees built the Main Temple at Vadtal. After that in Year 1929, Maharaj Shri Bhagwat Prasadji built this temple. This is a temple of Swami Narayan and Vaishnav communities. This temple is built on a slightly higher height. It is build from bricks, wood and stones. A small type of park is also there besides temple. There are also small temples of Lord Hanuman (Kasht Bhanjan Hanuman) and Lord Ganesh (Ganpati). The temple is also identical to its main temple of Vadtal and Gadhda.